Hatching Egg Hatchimals of Owlicorn, Bearakeet, Burtle, Pengula, and Draggle. | Collectibles, Classifieds. Buy and sell collections. Free ads no commission! 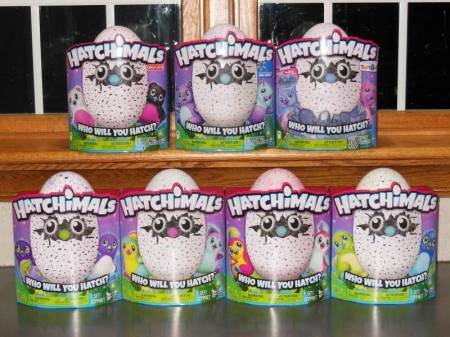 Hatching Egg Hatchimals of Owlicorn, Bearakeet, Burtle, Pengula, and Draggle. The price is $20.00 USD each which includes insurance and postage fees. Minimum Quantity Order set at 50pcs. How many pcs are you interested in buying? Then we can make arrangements.